Sustainable, beautiful, artisanal and hand-crafted apparel, accessories and décor on offer here. What’s not to love about Studio Moya? Although, that’s a rhetoric, we’re going to reinforce our excitement and say, “No, there is nothing you can’t love about this place.” Ideated by Rashmi Singh who wanted to create and curate products with soul, you’ll find that everything you get here, has a history. And the best part? The handcrafted merch here are deeply rooted in the past and in culture, so expect clothes, shoes, bags and home décor created by artisans from across the country. Rashmi and her team have travelled all over India, building a sustainable eco-system wherein they choose artistes to make products with minimal design intervention, tools and techniques to sustain their art and voila, tradition meets contemporary in the form of the art being transferred to modern day objects. You won’t find two of the same products because each item is the canvas of a different artist, or at least a different canvas for every artist, but that only adds to its exclusivity. If you have a particular pattern or design in mind, they’re also happy to work on that for you, to customise the product. 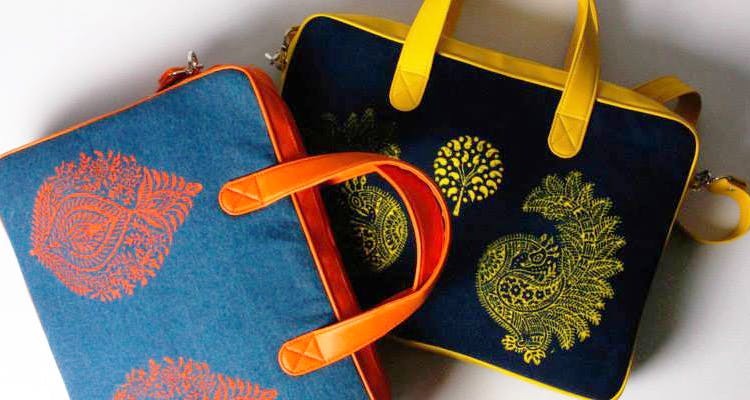 Think leather bags painted on the surface, embroidered laptop cases, handwoven cotton Laal Paad sarees and even leather lamp shades painted to reflect stories from the Ramayana and Mahabharata. Currently, we’re obsessed with their collection of ethnic and cutesy shoes that will be conversation starters no matter where you go. Canvas shoes serve as the base for embroidery, floral prints and even fine art work on the entire surface. So for once, match your clothes to your shoes. Notebooks, block-printed skirts and photo frames are on the shelves too, so you can really get a gamut of things at one go from this trendy studio. Worth the trek to Whitefield, we love the feeling of encouraging artistes and traditional handicrafts while simultaneously indulging in materialistic but oh-so-beautiful things. When: 9am-5pm on weekdays, and by appointment on weekends.